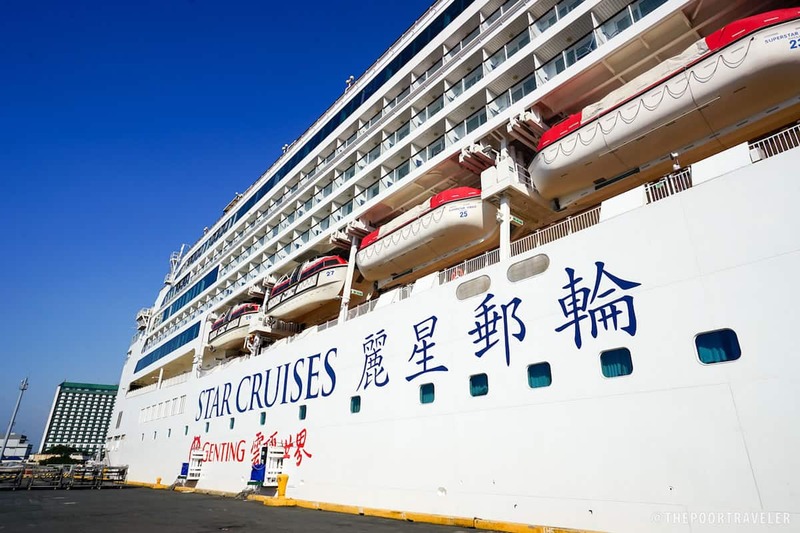 Recently, we have been invited by Star Cruises to experience sailing from Manila to Ilocos to Taiwan to Hong Kong aboard Superstar Virgo. This wasn’t our first time cruising, so we were a bit more confident this time around. On our first time a few years back, we were so intimidated by the whole cruise thing. You see, we’re used to backpacking so anything that resembles luxury feels alien to us. Preparing for it alone was unnerving. What do I pack? What should I wear? What travel documents do I need? How expensive is it gonna be? Are there hidden charges? How do I disembark? 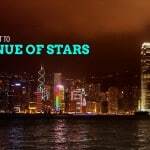 This post is brought to you by Star Cruises. 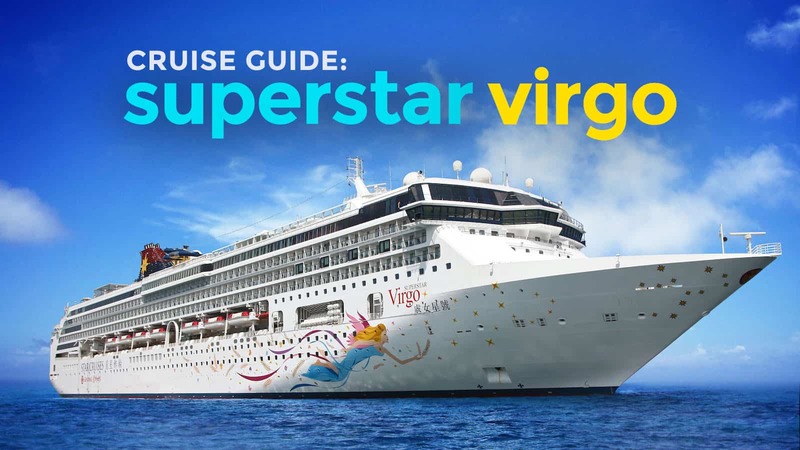 If you’re sailing aboard Superstar Virgo soon and it’s your first time to cruise, this post is for you. This also applies to other routes of the Virgo. I hope this article be able to prepare you for this new, marvelous, and incredibly relaxing experience! Here are 10 things you can expect. First things first, travel documents. 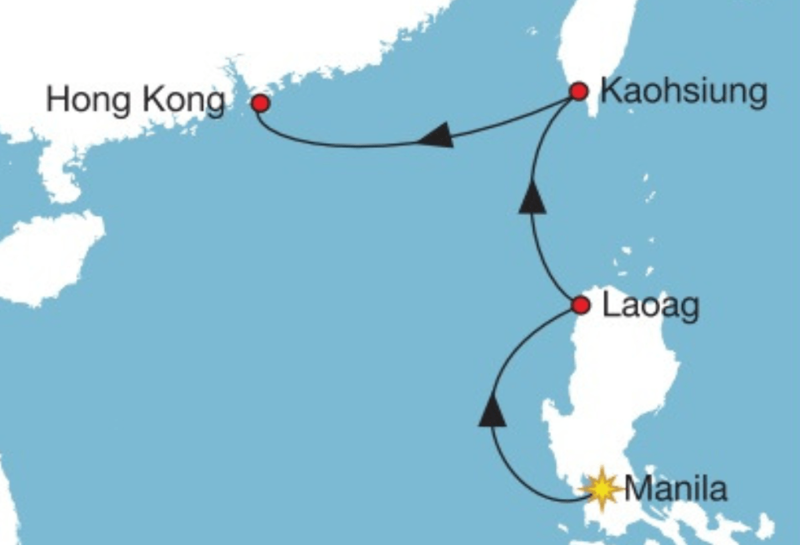 If you’re joining the Manila-Laoag-Kaohsiung-Hong Kong cruise, no visas needed. You only need to bring your passport and a photocopy of its bio page. It’s a cruise so it wouldn’t hurt to dress up and achieve your #OOTD goals. We packed at least 2 sets of garments a day: one set of light clothes for touring, and another for the evening shows. Why two sets? It’s pretty cool inside the ship, but things change as soon as you get out of it. In our case, it’s the middle of April! Onboard, I’m clad in shorts and a t-shirt with a polo on top of it. But as soon as we go outside, I had to remove the polo because it would get too hot especially on Ilocos and Kaohsiung stops. Hong Kong was a different story. It rained so hard for a brief moment. Takeaway: check the weather in every stop and prepare accordingly. The rooms are also equipped with slip-on sandals, bath robes, and toiletries. You will also be provided a see-through plastic pouch wherein you can put your passport and access card (which I will explain later). Remember: Each passenger is allowed only one piece of check-in luggage free-of-charge. Anything more will incur additional fees. 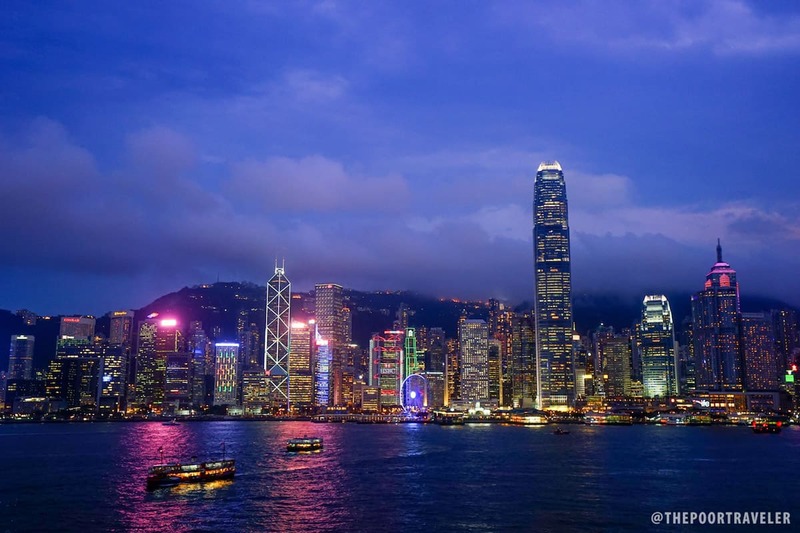 For the Manila season, the default currency is the Hong Kong Dollar (HKD). In many ways, the process is similar to that at the airport. You still need valid travel documents, check in your baggage, and pass through an immigration inspection and security checks before boarding. You will be given a mag card (access card). DO NOT LOSE IT. It’s the most important item as soon as you step into the ship. It serves as your keycard to your cabin and credit card when purchasing something or dining at specialty restaurants. You will also need this when disembarking to explore the ports and when returning to the ship. You will need to surrender your passport upon boarding. You’ll have it back after the journey. As soon as everyone is settled, there will be a safety drill that you are required to participate in. It is extremely important that you are familiar with the ship’s geography and the directions you need to take in case of an emergency. 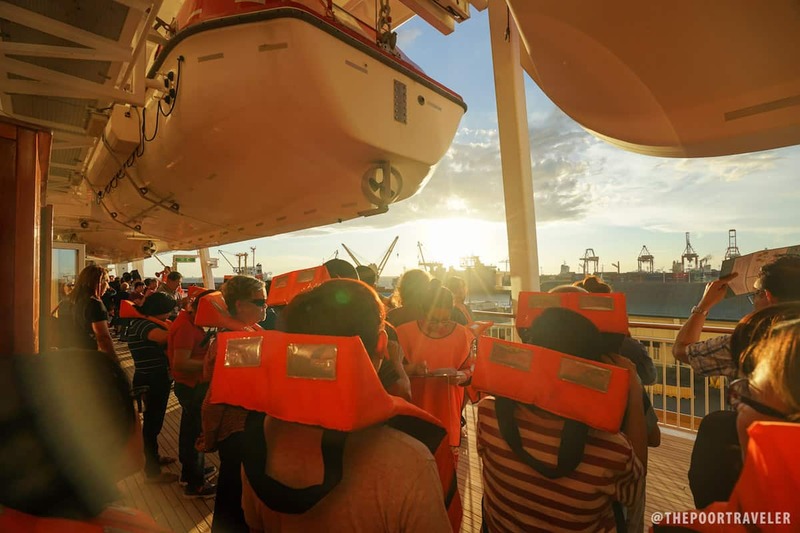 In Manila, the drill happens right before sunset, so as soon as it’s over, head straight to Deck 12 to have a better view. 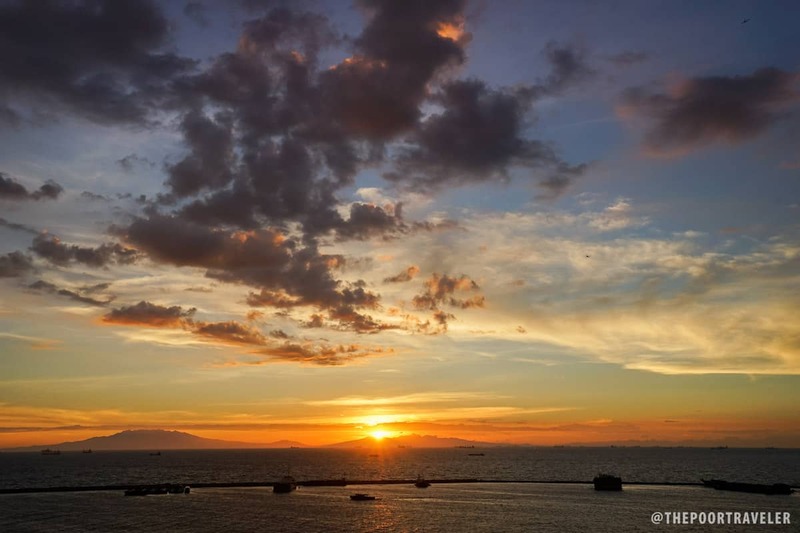 We’ve been to a lot of places around the world, but Manila offers some of the most spectacular sunsets. Do it at every stop. Nothing is more relaxing that just watching the sun call it a day. Mediterranean Buffet. The most popular, located on Deck 12, just behind the Parthenon Pool. Serves breakfast, morning tea, lunch, afternoon tea, dinner, and supper. No reservations needed. Genting Palace. Western and Chinese cuisines. Serves breakfast, lunch, and dinner. This is also where the Gala Dinner takes place. Although it is inclusive, reservation is required. The Pavilion Room. Family-style restaurant. In my opinion, of the three, this is the best. Serves breakfast, lunch, and dinner. Reservations required. Both Genting Palace and the Pavilion offer full-course meals (appetizer, soup, main course, dessert). Drinks will be charged to your room. Aside from these, there are specialty dining options! 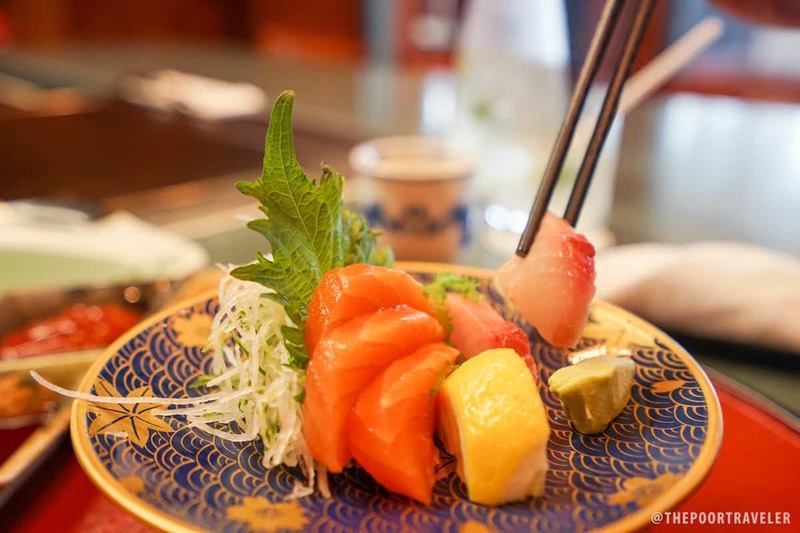 There’s the Taj offering Indian favorites, and Samurai serving delectable Japanese cuisine. 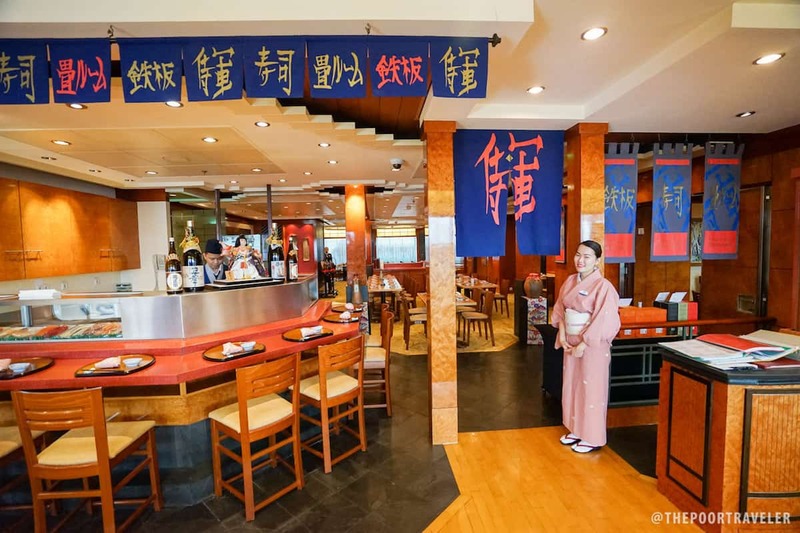 Samurai have us our best gastronomic experience onboard. From the salmon and yellowtail (hamachi) sashimi as appetizer to teppanyaki as main course and matcha ice cream as dessert, that meal was scrumptious from start to finish. This is the part where you can get off the ship and explore the city where it is docked. In our case, it has three stops: Laoag, Kaohsiung, and Hong Kong. 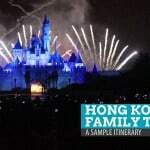 At every stop, they offer various pre-arranged tours called Shorex (shore excursions). For example, in Laoag, you have a choice among Laoag City Tour, Paoay Sand Dunes, Vigan Heritage Tour, and a couple more. Other routes will have their own shorex offers, of course. You can book a pre-arranged tour or do it on your own (DIY). It’s completely up to you. If you book a shorex, you will be joining the rest of the cruise passengers who booked that tour. The great thing about it is that you have everything taken care of for you. You will have a tour guide and a few members of the crew will join the group. They will make sure you’re back at the port in time for sailing. Meals are also often included. If you pull a DIY, you have complete control of your time and it’s going to be cheaper. However, make sure you’re back by the prescribed time because the ship will NOT wait for you. Either way, you will be given a small sheet of paper upon disembarkation. READ IT, UNDERSTAND IT, KEEP IT. It will tell you what time you have to be back. It changes per stop. The boarding deadline in Taiwan is different from that in Hong Kong. 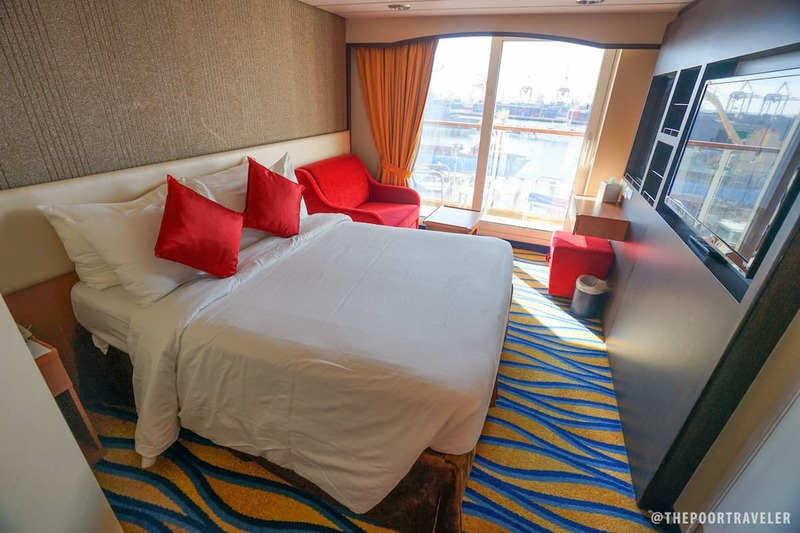 There are four types of accommodations onboard, from the cheapest to the fanciest: Inside Room, Ocean View Room, Balcony Room, and Suite. On our first time, we stayed in an Inside Room; this time in a Balcony Room. In both occasions, the room was always regularly maintained, with multiple cleanups within the day. Complimentary bottles of water also replenish every day. If you have enough budget for an Inside Room, go for it. Don’t drop the idea of cruising just because you can’t afford the best rooms. 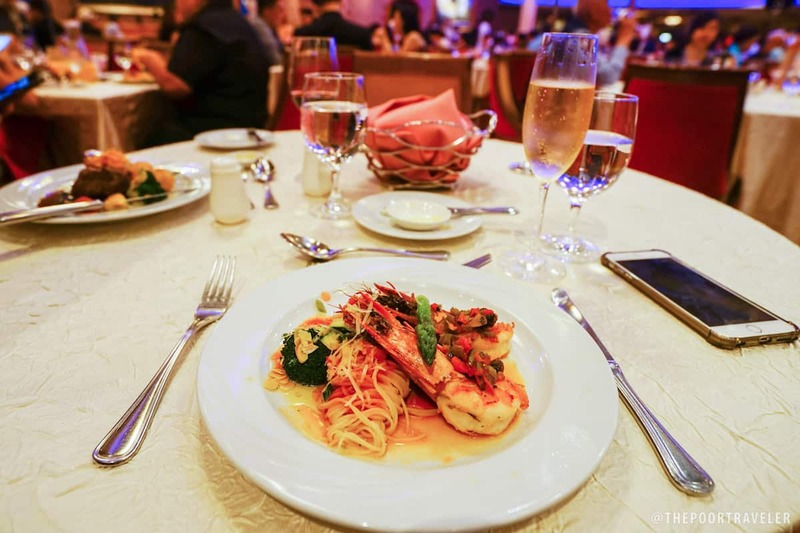 In my experience, we spent most of our time outside the room — going on shore excursions, pigging out at the restaurants, and exploring other amenities. Gym. We packed gym clothes but we failed to use them because we would already average 15,000 steps per day just by joining the shore excursions. Pool. Located on Deck 12. Casino. In case you’re interested. Deck 7. There’s also Duty Free shops on Decks 7 and 8, and a small store selling chips, chocolates, and biscuits (including Filipino products) on Deck 12 just next to the bar. Spend your evenings watching a show at the Lido Theater. Some of these performances can be enjoyed for free, while others incur additional charges, including the for-adults-only show. Happens on the fifth night. 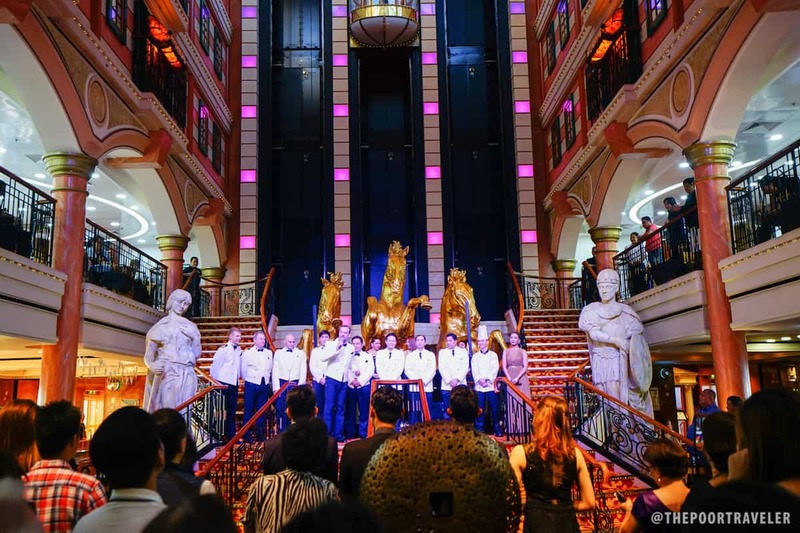 It’s an event that begins with a cocktail party at the Grand Piazza on Deck 7, where the captain introduces the senior members of the crew. There are also musical performances. Overflowing wine! Loved it! The captain introducing the senior members of the team. 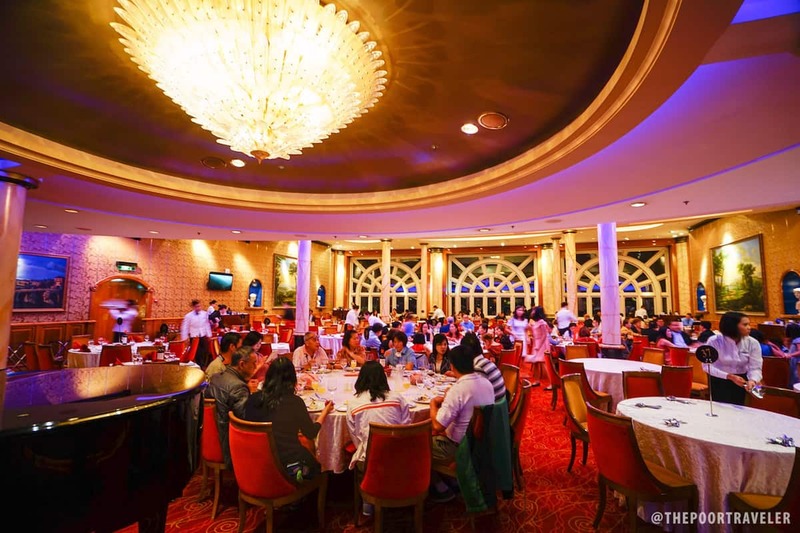 At around 6pm, enjoy a full-course dinner at the Genting Palace as a pianist serenades you with the endless ocean in the background. If you intend to join this, make sure you’re dressed for the occasion. Dress Code: Elegant Casual. No shorts and no open toed footwear. For guys, prepare a collared shirt or blazer. We know how important it is to you so we created a separate section for it. Every passenger is given 1-hour complimentary internet access. If you need more, you’re gonna have to purchase a plan. Remember: you’re in the middle of the ocean, sharing the connection with the rest of the ship, so don’t expect lightning speeds, but it’s good enough for browsing, checking emails, social media, and even watching YouTube videos. What we love the most about the Superstar Virgo is that it feels like home because of the staff. There are a lot of Filipinos working onboard: from the reception to the restaurants to the room services. I’m pretty sure there are more in the non-guest-facing departments, too. And it’s always wonderful to get to talk with them. They are proud of their work! The rest of the crew is warm, friendly, and always willing to help. You don’t even need to ask for assistance. If they see you looking like you need something (info, direction, whatever), they will be the first to approach you with a smile. On the day before you arrive in Manila, you will be requested to proceed to Deck 12 for a health check. You will just be filling out a form and pass by a thermal imager. Pack your stuff before hitting the sack on your last night because they will collect your check-in baggage early in the morning of your last day. You can leave the bag or suitcase outside your door and someone will pick it up. Don’t forget to settle the bill before disembarking. Know that a gratuity of HKD110 PER NIGHT is charged to every guest (except infants below 2yo). 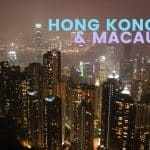 HKD120 per guest staying in a suite. I believe I’ve covered everything! Overall, it was a fantastic experience. Vins and I were kind of bummed that the Manila season would only last until May 28 because we wanted to do it again with our parents! Here’s hoping they’d return to the Philippines next year! We will be going this Monday. Availed the Seniors Sale which is a good price, I think. I just don’t like the fine print on the 100HKD fee. I’m thinking of passing up on the final Gala night, as I don’t plan on bringing along shoes and formal wear.. still thinking if we should check it out..
How about for women? Can’t we wear elegant open toed sandals? Thanks. Great article, by the way, very helpful! Thank you so much for the detailed (and helpful) information! Do you have a package rate for 5 people? One of the 5 would be a senior citizen, is there a special rate for senior citizens? hi! nice article and very helpful. i have the same question, do they have specific weight and measurement on the luggage? will it matter if a passenger brings in a small or big luggage as long as it’s 1 pc or is there a specified weight on the luggage to be taken in for free? Hi, did you ever find the rates for wifi? Thank you! Hi. Do you know if they will have a cruise for July? What time is the best time to arrive at Manila port if the boat will leave at 5pm? Is there a check in and boarding time? Thanks for the useful information! Hi! We’ll be traveling next month. I just want to ask how/where do we reserve seats in restaurants like Genting Palace and Pavilion? Thank you! P.S. Does anyone know pano mode of transpo pag DIY trip sa Keelung and Ishigaki? Like malayo ba port sa city center and kung may mga taxis na near the ship? Re Genting Palace and Pavilion, we just called the lobby/reception when we were there na. Hi thanks for the infos. May I ask how much is the fee for the gala night? And is it buffet or fine dining? Fine dining. If I remember correctly, included na yan sa binayaran. Thank you for this! it makes me excited to avail there cruise. May I know what other charges I should expect that is not included in buying the ticket online? Did you pay anything else? I think the confusion is kasi PER NIGHT ung HKD 110. So if 5 nights, that’s HKD550 for the whole trip. This is such a very good and helpful post! :) I’m planning to treat my senior citizen parents for a trip like this but i really don’t have any idea if magkano magagastos? Would you be so kind to give me a range so alam ko kung ilan dapat ipunin ko :D and panu inaavail ung birthday promo in case? plan ko i-book sa birth month ng papa ko kase. 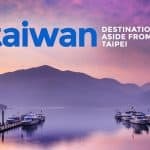 Hard to tell kasi ung na-experience namin ay ibang route (Taiwan-Hong Kong). Iba na yung routes ngayon. You can do a mock booking sa Star Cruises website. On board, wala namang gastos na except ung gratuities and wifi, unless kakain kayo sa mga hindi free na restaurants. Hi. thank you for the info. it is of big help for first timers. may mga ilang questions lang ako, sana macover mo lahat. 1. iba ba yun check-in luggage sa hand carry na maleta style din? kasi sa plane, usually, bukod sa check-in luggage eh allowed na magdala ng hand carry ang passenger provided na susunod sa sukat na itinalaga. or pareho lang sila? plan kasi namin na magdala ng 1 big check in luggage and 1 smaller hand carry luggage for each fam member..
2. dapat bang colored ang pa-print mo ng bio page ng passport o ok na ang clear copy na b&w? 3. halimbawa, gusto namin lagi mag dine sa genting or pavilion.. need ba magpa reserve in advance for the whole 5 nights or pa reserve na lang each morning? buffet ba sa mediterranean o set meal din like sa genting and pavilion? 4. should we still give tips (in hkd or php?) despite the gratuities? 6. you mentioned, Every passenger is given 1-hour complimentary internet access… each day or for the whole stay? 7. me free maps ba na ibibigay sa ship ng mga ports na pupuntahan? 8. keri lang ba na bumalik agad sa barko pag short lang yun DIY na lakwatsa sa mga ports? sowi kung sobrang daming tanong…ganun ka-ecited. hehe! super thank you in advance! 1. Let me get back to you on that. I’ll ask Star Cruises. Ako kasi ay isang maleta and isang backpack. Yung backpack as carry on, hinayaan naman. Di ko alam kapag maleta. 3. No idea if pwede mo ipareserve 5 straight nights. Yep, buffet sa mediterranean. 5. Hmmm, not sure. Kasi when you enter a restaurant, they get your card to record that you have eaten there. Not sure if kapag nakakain ka na sa isa, pwede pa sa kabila. Very little info on SSVirgo here in Australia so would appreciate your help. 1. Do they offer a drinks package on 5nt ex Manila and cost? 2. Do they have set dinner times, e.g. 6pm and 8pm or is it anytime dining and how do you make reservations? 3. Would very much like to attend the Gala Dinner. How do I book for this?. 1. 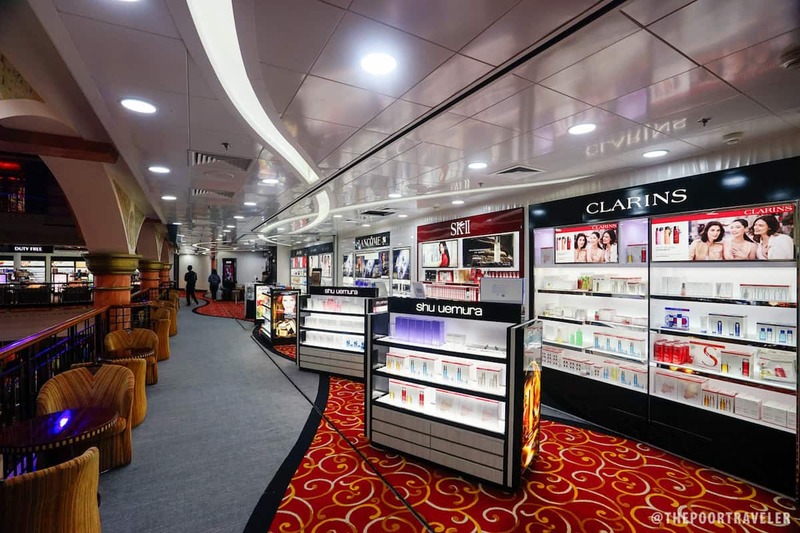 I reached out to Star Cruises and they said that special offers such as drink, tour, or shopping packages are sometimes offered onboard or via shop.starcruises.com. I wasn’t able to get the costs though. 2. You can make reservations onboard, maybe on your first day. Just visit the restaurant you want to book. Or if you booked via agency, you can course it through them too. There are at least 3-4 hour specific dining times (breakfast, lunch, afternoon tea, dinner, supper) for each restaurant. Dinner is from 6pm-9pm. 3. Upon embarking, you can go straight to the restaurant that you want to book and reserve. The gala dinner happens at all key restaurants onboard and each has its own gala dinner menu. But the best for the occasion, I think, is Genting Palace. 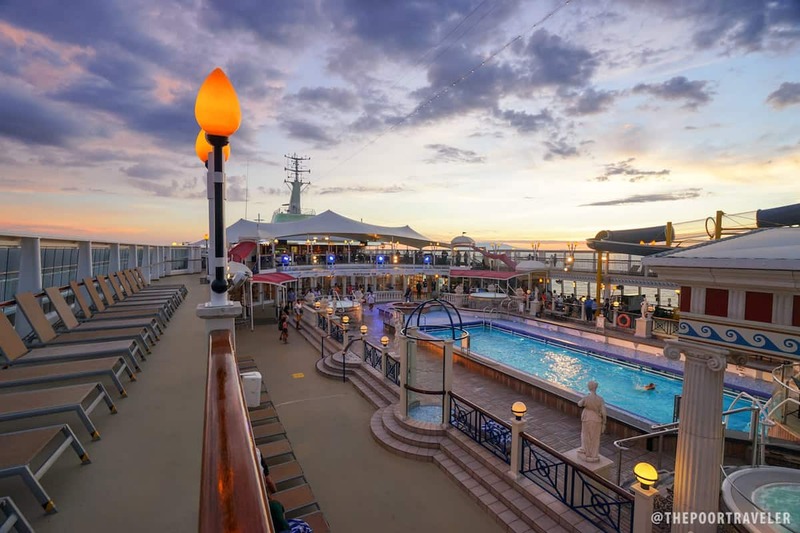 The program happens at the Grand Piazza on Deck 7.
no limit as to baggage if you embark or disembark in MaNILA…I mean balikan..
Is it correct that if you dine in the restaurant you cannot then go up to the buffet for a bit more? Other lines have no such restriction but I have read that you will be charged on SuperStar Virgo. Hi John, yes, that’s true. Years ago, there was no such restriction. But when we cruised again last year, they have started swiping the card when entering a dining establishment to check if you’ve had your meal elsewhere for that dining period. The good news is, there are a lot of dining periods in a day: breakfast, lunch, afternoon tea, dinner, supper. So you just have to wait a bit more and you’ll be able to enter the buffet area again. Hi may i know the ideal deck if we will be travelling with our 7 year-old son? What about for the senior citizens? Do you know if there are any restrictions on bringing our own food like bread or chips, fruit? Just for snacking in our room. Thanks! Hi Christie, okay lang daw basta hindi alcohol. Hi Vicencio, medyo di ko po naintindihan yung problem. Nagbook po kayo pero less than 6 months na lang ung passport validity? Saan po kayo nagbook? Online or via travel agency? Hi, If you missed ba iyong online shore excursion nila, will they offer on board shore excursion? Hi, We are considering Superstar Virgo/Explorer Dream around New Zealand Dec 2019. We do not have gratuities in our country, is it compulsory on this ship? We are a “no smoking” country, can we get inside cabins that do not smell of smoke? In other revues it says ship does not cater for ‘westerners’, now wondering if we should go on the ship. Magkano po ba lahat2(pati offshore ex. Di po DIY) ng gastos po pra makaprepare kami..
Balak ko kc cruise for honeymoon.